Jesus made it clear that the time of the Holy Ghost, this time that we are living right now, is for our advantage. He establishes that it is the Holy Spirit who convicts the world of sin. Beloved it is the Holy Spirit Who causes our hearts to repent so that we can be saved, so that even after we are saved, we can find forgiveness and restoration for our current shortcomings. There is no evangelism without the Holy Spirit. It is the Holy Spirit who establishes that Jesus is the righteousness of God, that Jesus is truly the way of life and what is acceptable to our Heavenly Father; not Allah, not Buddha, not the Jehovah Witnesses or the Mormons…it is Jesus and Jesus alone who represents truly the right standing. It is the work of the Holy Ghost that gives men enough sense to understand that there is a judgment coming and they must go after God, that they must allow God to make straight their path before the grace of time runs out. 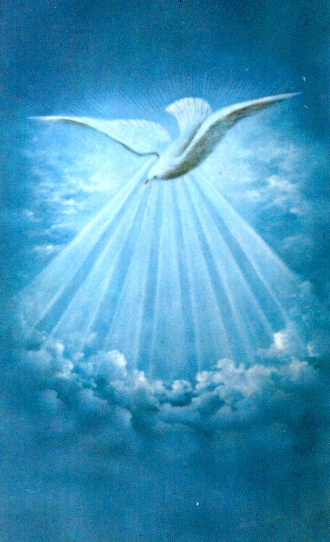 Without the Holy Ghost there are no absolutes, it is the all coming together under the banner of error and of many gods. Oh, how much we are missing without the precious Holy Spirit!